Fantasy Flight Games is proud to announce the Mother of Dragons Deluxe Gamemat for A Game of Thrones: The Board Game, now available for pre-order. 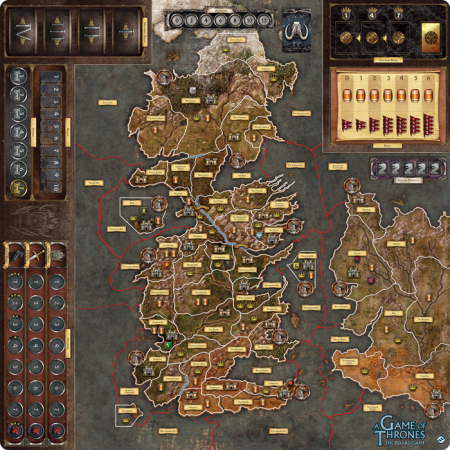 This deluxe gamemat is fully compatible with the upcoming Mother of Dragons expansion, seamlessly incorporating the continent of Essos, the dragon strength track, the Iron Bank of Braavos, House Arryn’s stronghold in the Eyrie, the fourth Westeros deck, and additions to the influence tracks—all printed onto a single thoughtfully arranged gamemat. Whether you’re taking up arms with old allies like House Stark or House Lannister, or you’re making your bid for the Iron Throne with House Arryn and House Targaryen, the Mother of Dragons Deluxe Gamemat is an unmissable accessory for fans of A Game of Thrones: The Board Game. the red set featuring the Brand of Cthulhu. The symbols replace the highest value on each die. 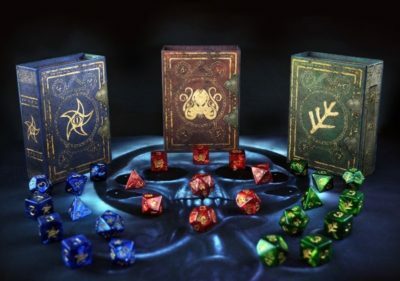 Each set of Elder Dice contains the complete set of nine polyhedral gaming dice: 1 four-sided die, 3 six-sided dice, 1 eight-sided die, 1 ten-sided die, 1 ten-sided percentile die, 1 twelve-sided die, and 1 twenty-sided die. 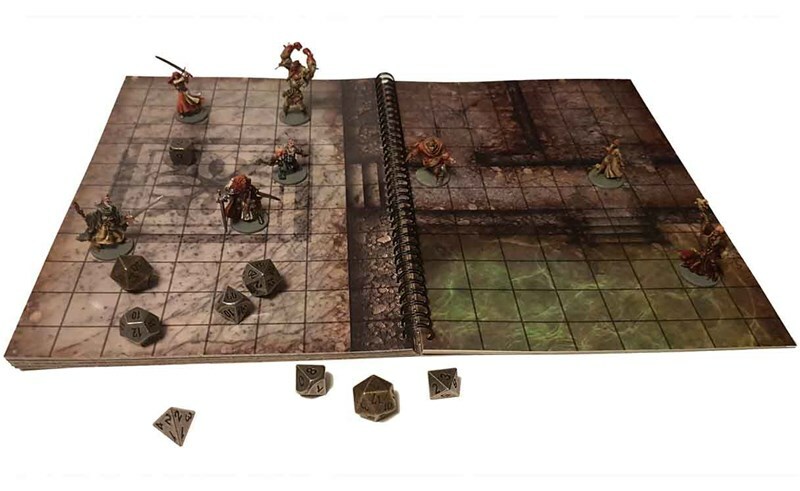 This set is packaged in a matching spellbook box with a magnetic clasp. Their interiors feature art by David LaRocca. The power that binds all things within the galaxy has stretched across the entire Star Wars saga. 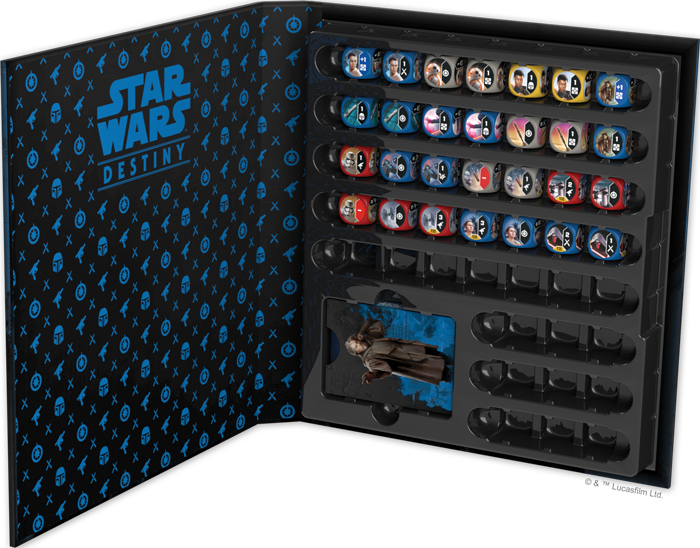 Now, it’s returning to your games of Star Wars™: Destiny. 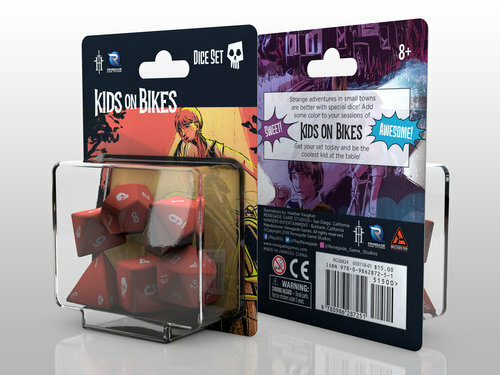 Renegade Studios Announces Kids on Bikes Dice Sets! Ready to jump into the adventure? Don’t forget your dice! The official Kids on Bikes: Dice Set will be with you in every small town mystery. 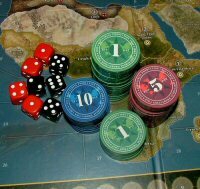 Back before you had cell phones, internet searches, and GPS locators, we had our trusty dice. This set of 7 dice will cover all your needs and help you jump right into the action! Official set of Kids on Bikes RPG Dice! Custom Kids on Bikes Logo on one side of each die! 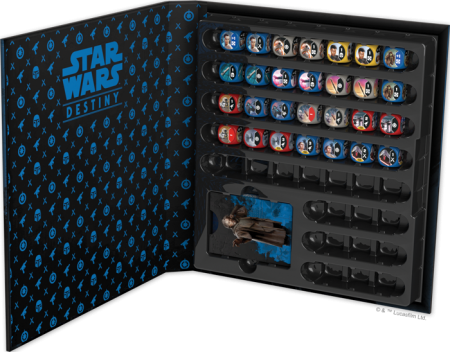 All 6 custom dice arrive in a windowed box! Ultra PRO can now design and make Munchkin-ly items including playmats, card sleeves, deck boxes, albums, binders, card pages, zippered gaming cases, dice bags, life counters, dice, and tokens. Fans are likely to see playmats, Deck Protector sleeves and Deck Boxes roll out this year. So get ready to play your favorite Munchkin games in style! In addition to offering accessories for sale, Ultra PRO has agreed to make limited-run prize items for Munchkin Collectible Card Game organized play events. Bunny Kingdom fans rejoice! We have heard your requests and have printed a larger board with a little more room for added fun! Current Bunny Kingdom game owners can order the game board UPGRADE on the IELLO website for free (shipping & handling charges to be added). Order the larger Bunny Kingdom board here. 17 1/2? x 14 1/8? The day of love is coming soon, and we know you’ve prepared something lavish for your loved one. Chocolate fountains, a dozen roses, rose fountains, a dozen chocolates; you know the drill. But for those of us who aren’t ready, Steve Jackson Games’ Munchkin Valentine’s Day-themed accessories are available at your local game store and Warehouse 23 now! Because nothing says “I love you” like backstabbing your partner. Our Munchkin Valentines are a great way of telling your favorite person they are loved, plus you can give them special Munchkin promos! (Or keep them to yourself. Why should they have all the fun?) 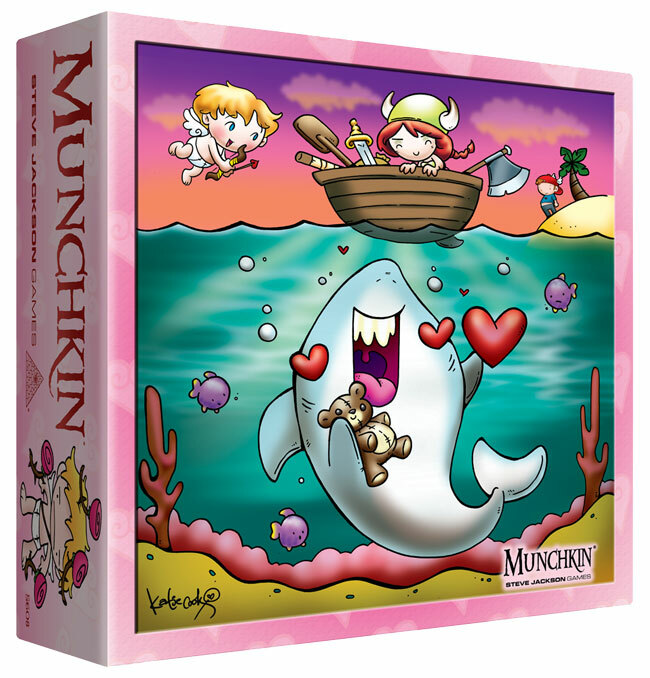 If you’re looking for more accessories, the Munchkin Valentine’s Day Monster Box and Munchkin Playmat: The Flower of Love can give your typical Munchkin game a romantic flair. Plus, you get an extra-special rule with the playmat, and some additional holiday promos with the Monster Box, so there’s a lot of Valentine’s Day love to go around. And while you’re at it, Love Shark Baby and its precious pink pastels would be a great addition to your collection, in addition to being thematic. You can find these, to fulfill all your Munchkin desires, at your friendly local game store or on Warehouse 23. Make sure you get them in time for Valentine’s Day; the couch is never as comfortable to sleep on as it is to sit on.